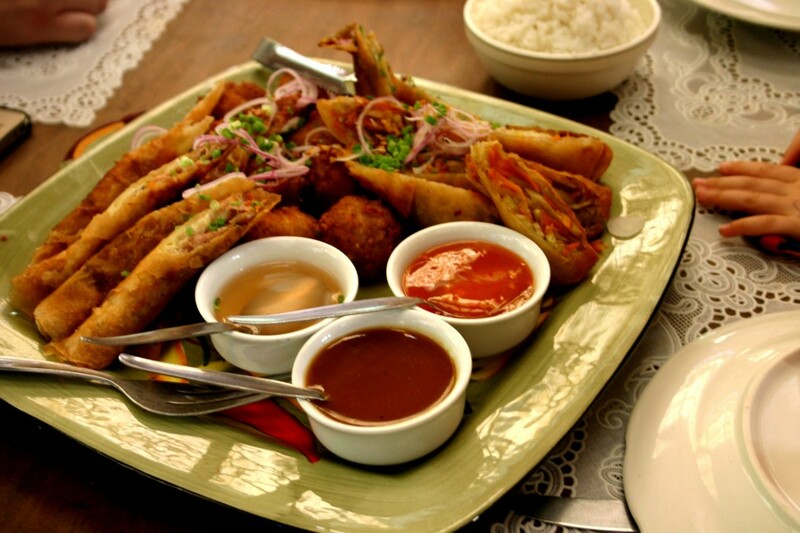 One popular appetizer among filipinos is Lumpia Shanghai (friend Pinoy springroll). No festivities is complet without these crispy golden brown snack on the table. They are easy to make and a sure hit to every guests whether young or old. 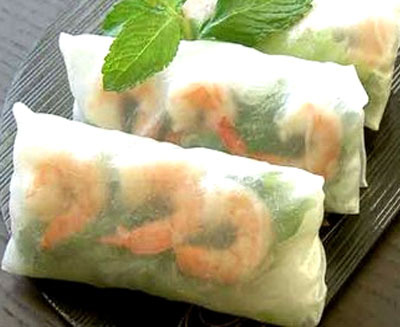 Each family normally have special secret ingredient to make their lumpia shanghai above the rest. Here is a simple recipe to make this but if you want to be creative and inventive you can add more spices and other ingredients inside. In a salad bowl mix all the ingredients (ground meat, chopped onions, chopped carrots, raisins, pickle relish, hotdogs, flour, eggs, salt and pepper. Using your clean hands mix them well. that you mixed them well. Cut the the wrapper in the two (halfwise). Scoop a spoonful of the fillings and put it on the cut side. Fold the the two sides then roll. Seal it with beaten eggs. Deep fry until golden brown. You can serve this with ketchup or sweet and spicy sauce.